A fashion designer by profession, Varsha Mahendra hails from a business management background. 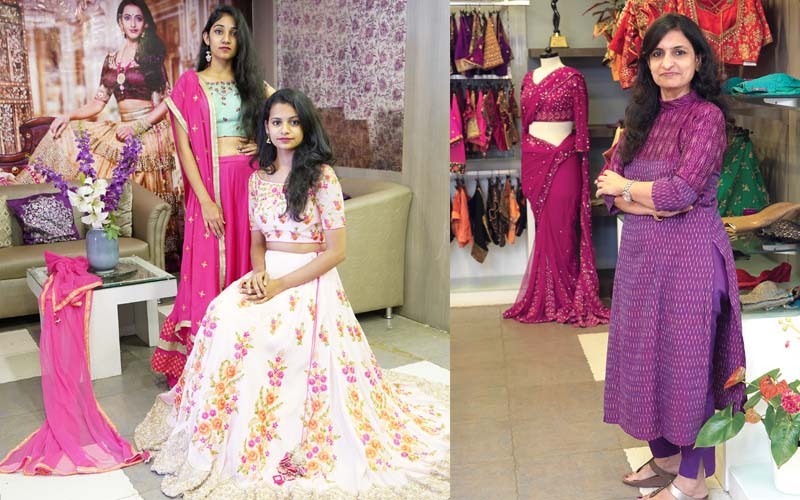 The successful entrepreneur has gained two decades of experience which has helped her launch multiple fashion brands, including Jus Blouse, which has one branch in Hyderabad and another in Dallas, USA. As the name suggests, it customises blouses for all sorts of ethnic-wear such as half-sarees, lehengas, and sarees. A unique concept at the time of its inception, the label uses traditional embroidery techniques to create a modern and contemporary style. With a penchant for natural and woven fibres such as silk, hand-woven khadi, linens, organic cotton, raw silk, and ahimsa silk, the brand keeps the richness of the diverse weaves. The one-stop shop also specialises in swift tailoring and for their embroidery. This makes finding a matching blouse easy – one could either buy it off the shelf or get one designed by Varsha. The team also takes care of the styling and fittings. Varsha’s experimental side led by her creativity helps her create something new and supreme every time while respecting the client’s individual style. Their ranges of bridal blouses, which feature hand embroidery work like zardozi, dabka, resham zari, and so on, are popular. Their hand-woven blouses are also a hit with the loyal clientele the label has created over the years. Jus Blouse also maintains exclusivity by keeping their designs off social media, which is why they stay so fresh and trendy. When asked about her inspiration, Varsha explained, “As a designer, I am inspired by different women and their multifaceted personalities. I also draw inspiration from nature.” With its stylish designs and unique concept, Jus Blouse will take over the Hyderabad fashion scene.